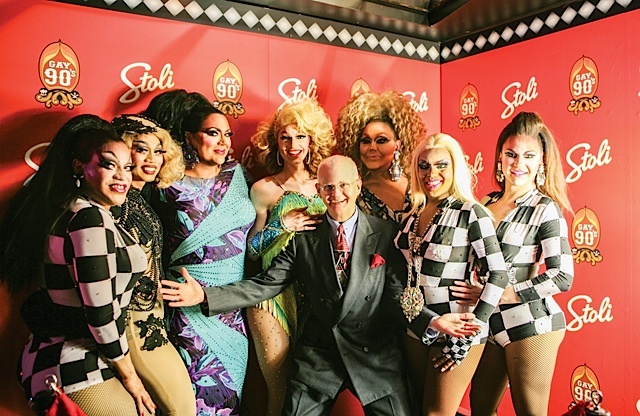 On the evening of Jan. 13, the Gay 90’s hosted the gala grand opening of its new La Femme Show Lounge upstairs. This fabulous refashioned space is now a worthy home for the best female impersonator show the Twin Cities has ever seen. Las Vegas, eat your heart out! The transformed La Femme is the culmination of a half-century of drag shows at the popular downtown Minneapolis bar. In 1964, drag performances debuted on the main floor of the Gay 90’s. By the 1980s, the small Casablanca Lounge (the name was an homage to the original name of the bar in the 1940s) upstairs held weekly drag shows. 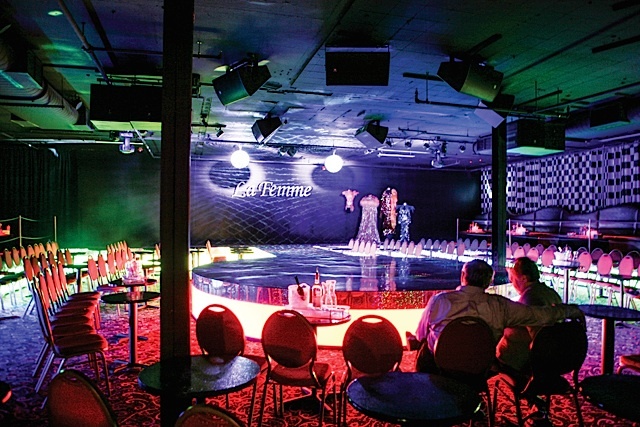 In 1996, the expanded and rechristened La Femme Show Lounge opened, taking up much of the second floor. Two decades later, a massive remodeling of the space got under way last spring and was completed by the end of the year. A capacious raised round stage predominates at the center of the new lounge, with an ample entrance area from the Fourth Street side of the room. Gone at last (cheers, everyone!) is the infamous supporting pillar of the old La Femme that obscured a view of the stage for some of the audience. Comfortable new seating with tables lets guests view shows from anywhere in the room. State-of-the-art sound and lighting from a new DJ booth now accompany the performances. Ultra-attractive new carpeting and drapery enhance the room. 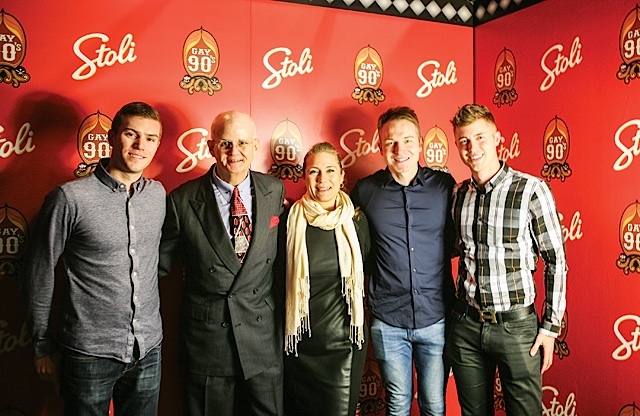 On both sides of the stage, reasonably priced VIP seating is available, featuring custom-curved booths. The raised seating, connected to the stage, allows patrons the best view of shows in the house. Personal bottle service via a waiter offers a choice of vodka, gin, rum, bourbon, and whiskey. Convenient drawers are underneath the seating for guests’ belongings. Another welcome feature of the new La Femme Show Lounge: the completely refurbished dressing rooms for all the performers. Each show girl now has her own private, spacious, well-lit place to prepare for the stage. As well, the cast has its own bathroom. More improvements currently are planned for the upstairs at the Gay 90’s. Adjacent to La Femme, a new serving bar with seating is in the works, along with updated bathrooms for patrons. Plus, a completely new elevator at the back of the Gay 90’s soon will bring customers comfortably to the second floor. 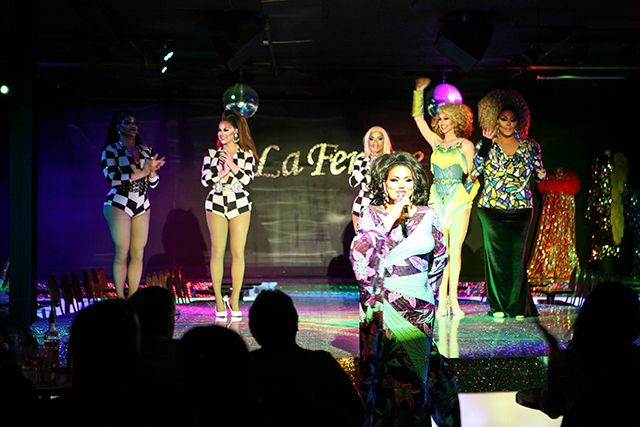 The La Femme Show Lounge cast is a well-known mainstay for the local bar-going community. Prada Diamond, renowned for her awesome glam costumes, is the show director. Emcees are the always-sassy Brandonna Dupri-Lareese and the ever-elegant Violet Femme. Regular performers include the talented Mercedes Iman Diamond, Anita Rivera, Tina Gee, and Julia Starr. Guest entertainers often take the stage as well. Shows take place Friday–Sunday, 9 p.m.-2 a.m. The new La Femme Show Lounge is an impressive tribute to the vision of Gay 90’s owner Peter Hafiz, who begins his 10th year of owning the bar on May 16, 2017. During that decade, he has completely redone the following components of the establishment: the Happy Hour Bar and adjacent bathrooms in 2009, followed by the Retro Bar upstairs and Men’s Room Bar downstairs, plus a host of other changes. He also owns the Brass Rail a few doors away. The north side of Hennepin Avenue between Fourth Street and Fifth Street in Downtown Minneapolis is the only remaining block on the avenue with its original buildings, and Hafiz has done something amazing for local history by preserving and improving the block’s major landmark, the Gay 90’s. Drag performers are often called queens, and the outstanding transformed La Femme Show Lounge is certainly the crown jewel of the venerable Gay 90’s, fit for a queen. Don’t miss the penultimate local female impersonator experience there.